Rivers State Governor, Chief Nyesom Wike, addressing the people of Ogba/Egbema/Ndoni, during a security meeting at ONELGA Council Pavilion, yesterday. 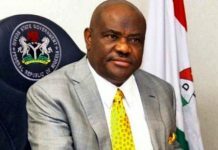 Rivers State Governor, Chief Nyesom Wike, yesterday announced the setting aisde of N50million for the education and up keep of a one-year girl, Purity Anthony whose father and mother were killed in the attack by late Don Waney in Omoku in the Ogba/Egbema/Ndoni Local Government Area of the state. Governor Wike who made the proclamation during a security meeting held at the ONELGA Council Secretariat said the manner that Don Waney met his untimely end, indicates that nobody will escape the long arm of the law, irrespective of the charms he or she possesses. 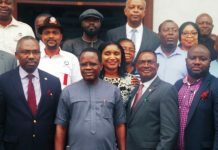 While thanking the local vigilante group, OSPAC for its contributions to the restoration of peace and the dislodgement of Don Waney, he warned them against following the criminal route, as they will suffer the Don Waney fate. He said that Don Waney’s reign of terror lasted throughout the leadership of Amaechi, pointing out that he was eliminated as a result of the commitment of his administration. 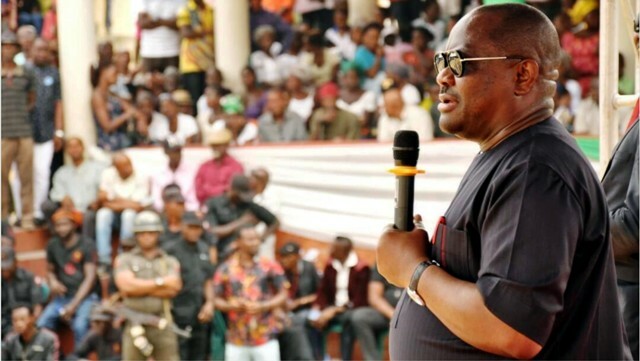 Wike assured the people of Ogba/Egbema/Ndoni Local Government Area (ONELGA) that the state government will continue to build the security infrastructure in the area to enforce peace. 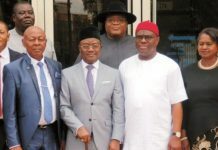 The Governor who was accompanied by service commanders in the state revealed that Rivers APC leaders have approached the 32 cultists declared wanted, asking them to join their political platform ahead of the electioneering period. He stated that his administration will not be deterred by the political antics of Rivers APC, saying that the deadly cultists will be traced and brought to justice. “Nobody should play politics with security of lives. Since we declared these cultists wanted, they have approached them to work with them. Whether or not they work with APC, they will meet their waterloo”, he said. 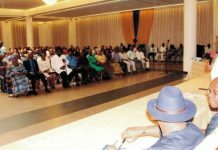 He urged the people of ONELGA to work with the Rivers State Government to ensure that the area remains peaceful, so that the people can recover from the devastation of the past. The governor said everyone must work together to build the peace of ONELGA to avoid a repeat of the New Year tragedy. He said: “I am here today to further express my condolences to the families that lost loved ones and also express my sympathy to the injured. Like I said before, the Rivers State Government will foot the hospital bills of the injured and support the families of the deceased “. Commenting on the politicisation of Rivers security by the Minister of Transportation, the governor regretted that the Minister has devoted his days at the Federal Executive Council to creating crisis in the state. He listed several projects that he attracted to the state as a Minister of State for Education and wondered why the Minister of Transportation has failed alongside his godson, the Director General of NIMASA. He informed ONELGA people that he has reached agreements with Agip and Total on their corporate social responsibility to the host communities. He said that the State Service Commanders and the Secretary to the Rivers State Government met with Agip and Total yesterday to finalise the process for the implementation of agreements reached. Governor Wike announced that all projects started in ONELGA would be completed and more projects would be initiated for the people. Earlier, Chairman of ONELGA, Mr Osi Olisa said that the people of the area will continue to work with the Rivers State Governor to entrench peace in the area. He said that ONELGA remains loyal to the Rivers State Governor beyond 2019 because of his achievements. 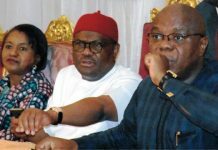 Meanwhile, Governor, Nyesom Wike has declared that most Nigerians are unhappy with the direction that the country is headed under the All Progressives Congress-led Federal Government, especially the unending killings and shedding of innocent blood across the country. He warned that Nigerians must never forget to draw from the trials and experience of the Civil War to avoid making mistakes that will push the country into another civil war. Speaking during the 2018 Armed Forces Remembrance Day ceremony in Port Harcourt, last Monday, Wike said that President Muhammadu Buhari must take steps to give every section of the country a sense of belonging to entrench peace in the country. He said: “Mr President must match his commitment not only with responsible actions but also stop the state sanctioned marginalization that is fuelling most of the avoidable crisis in the polity by giving every section of the country a sense of belonging and justice. “For, not many Nigerians are happy with the current state of the nation, especially, the direction it is headed and the unending killings and shedding of innocent blood across the country”. While paying tribute to the military personnel who laid down their lives for the unity of the country, Wike prayed for the peaceful repose of their souls. “Beyond prayers, we must also comfort and extend genuine love to the members of the families they left behind, who in most cases, single-handedly bear the brunt and pains of losing loved ones while serving the country”, the governor said. He lauded the President for efforts at tackling internal security challenges, particularly the ongoing war to free the North-East from the scourge of Boko Haram insurgency. The governor assured that the Rivers State Government will continue to support the ex-servicemen and serving military personnel. He directed the immediate release of N100million to the Rivers State Legion to support widows of deceased ex-servicemen to set up businesses. An official of the Nigerian Legion, Rivers State, Col Wilberforce Josiah commended Wike for his commitment to the welfare of ex-servicemen and women in the state. Highpoint of the occasion was the laying of wreaths by Wike, Deputy Governor, Dr Ipalibo Harry Banigo, Speaker of the Rivers State House of Assembly, Ikuinyi-Owaji Ibani and Chief Judge of Rivers State, Justice Adama Iyaye-Lamikanra. The General Officer Commanding, 6 Division of the Nigerian Army, Maj-Gen Enobong Udoh led other military commanders to lay wreaths.